Emed > News > Hemp – Why the Hysteria? 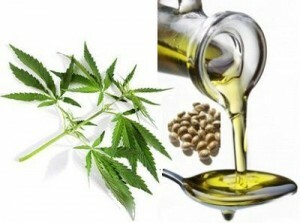 Hemp Seeds and Hemp Seed Oil – Why the Hysteria? The following article appeared in The Age July 2014 outlying the confusion. They are climbing the superfood sales charts elsewhere and claims of their health benefits are spreading, but in Australia hemp seeds remain under a cloud. It is one of the few countries in the world where a question mark hangs over their legality. Despite no evidence that consumers can get high from the cannabis plant derivative, there are bans in place. A Food Standards Australia New Zealand investigation concluded that “hemp does not have any psychoactive properties”. It said it didn’t identify any safety concerns about consumption and that hemp seeds were a nutritious food containing sizeable amounts of protein, polyunsaturated fats and dietary fibre. Yet a Melbourne restaurant that regularly serves dishes containing hemp seeds could be pursued by the Health Department if its identity was disclosed. As cannabis is a prohibited substance under the Food Act, it is illegal to sell hmp seeds, or hemp seed oil, as food. The fine is $40,000 for an individual and $200,000 for a corporation. A Health Department spokesman said it would follow up a complaint if one were made and that there are no exemptions. But a restaurateur who serves hemp smoothies and hemp seed chocolate fudge said she was unaware she was committing an offence. She said she relied on information from her hemp seed supplier. Confusion about the law stems in part from its wording. While it is not permitted to sell hemp seeds as food, it is legal to sell them as something else. This is how outlets other than restaurants tiptoe around the rules. Packaged hemp seeds are readily available in shops, with trade occurring on a “don’t ask, don’t tell” basis. Retailers promote and sell them as a facial scrub ingredient, for instance, while well aware of customers’ unspoken intentions to sprinkle them on salads and cereals. “We are very diplomatic,” stockist Francesca Boch, from Great Earth Super Discount Health Shop, said. “Nobody buys them for anything but food,” another retailer said. This raises a question: is it legal to eat them if you have a few left over from the facial scrub? Inquiries suggest the bans relate to the sale of hemp seeds, not the ownership. Food Standards Australia New Zealand says it is legal to possess hemp seeds as food. A ministerial review of the law was due to conclude last week, but is now expected to go on until later in the year. The last review, in 2002, rejected overturning the ban partly because it could send a confused message to consumers about the safety of cannabis and could complicate law enforcement drug testing. Why the Confusion? – Hemp is simply NOT Marijuana! Cannabis sativa (known also as industrial hemp) is a cousin of marijuana but contains very low to negligible levels of the chemical THC (tetrahydrocannabinol), which is the main ingredient that produces the psycho-active (mind-altering) effect. THC is produced in specialised glands found mainly in the flowers surrounding the seeds and to a lesser extent on the leaf surface of the plant. No THC is found in the seed. Typically Cannabis plants with a THC concentration of 3% and above is considered desirable as marijuana while less than 3% THC is considered as industrial hemp. However, many commercial-grown industrial cannabis plants grown for seed or fibre production must not exceed 1% THC. Hemp is a native of western and central Asia and is currently cultivated commercially in Europe, in parts of China, Japan, Canada and the United States. The European Union has (progressively) legalised hemp seeds and hemp seed oil with low THC content (0.3%) and the global economic market for low-THC hemp – used in medicines, papers and fabrics – is valued at $100-200 million annually. In July 2014 it is still illegal to consume hemp seeds and hemp seed oil in Australia, they are for external use only. However according to available research the following health benefits are known about hemp seeds and hemp seed oil. Hemp seeds are an extremely nutritious food. It is known to have high levels of vitamins A, C and E and β-carotene, while its mineral profile is also impressive being rich in minerals like phosphorus, potassium, magnesium, sulphur and calcium. Hemp seeds have a notable protein profile. It provides a source of all 20 known amino acids and includes the 9 essential (those we cannot produce ourselves) amino acids. Two thirds of this protein is called Edestin, and is found only in hemp seed. The other one third of hemp seed protein is Albumin. Hemp protein does not have any of the trypsin inhibitors which block protein absorption and is additionally free of oligosaccharides found in soy, which can potentially cause stomach upset and gas in sensitive individuals. This makes hemp seeds ideal for vegans and vegetarians! However there appears to be no limitation to who would benefit from hemp seeds – from babies to the elderly, the nutrient profile of hemp suits everyone. Hemp seeds provide a high amounts of soluble fibre which assist in keeping the digestive tract healthy. Conditions such as constipation and bloating could benefit from the addition of such fibre. Hemp seeds are a more digestible protein than meat, whole eggs, cheese, human milk, cows milk, or any other high protein food. They even have more available protein than soybeans. Sprinkle hemp seeds on to salads, vinaigrettes ( e.g. garlic, olive oil, lemon, honey), smoothies, on top of vegetables, pasta sauce, rice, yoghurt, muesli, oats and on top of pancakes. For an adult the recommended dosage is approximately 4 tablespoons per day. The fatty acid profile of hemp seed oil is about 75% of polyunsaturated fatty acids (PUFAs). PUFAs include omega-6 and omega-3, the fatty acids found in some meats as well as flaxseeds/ linseeds and fish oils. Hemp seed oil has a very interesting polyunsaturated fatty acid composition as it has an optimal omega-6 to omega-3 ratio of about 3:1. Saturated fats and monounsaturated fatty acids each amount to about 12% of the oil. Hemp seed oil is a very heart -healthy oil. Hemp seed oil contains less oleic acid than other heart-healthy oils, such as olive oil, indicating that hemp seed oil might reduce the clotting of blood platelets that can lead to heart attacks. It is the bioactive compounds found in hemp seed that have the potential to lower blood cholesterol levels and have an anti-atherogenic (formation of fatty deposits in the arteries) action. These compounds are PUFAs such as omega 3 fatty acids and sterols. One of the linolenic acids contained in hemp seed oil is an omega-3 fatty (alpha linolenic acid) acid that some studies have recognised as preventing coronary heart disease. A high ratio of polyunsaturated to saturated fats has been linked to reductions in cholesterol levels and atherosclerosis, so the proportions seen in hemp seed oil have the potential to help prevent heart disease. Hemp seed oil contains sterols known also as steroid alcohols. It is known that sterols are useful in lowering cholesterol and a daily dietary intake of sterols has been linked to a lower risk of heart attack.These plant chemicals, such as beta-sitosterol and campesterol have been linked to lower heart attack risk and reducing the ‘bad’ cholesterol low density lipoprotein (LDL) cholesterol. Sterols may also lower inflammation and slow the progression of atherosclerosis. Our cells are partly composed of essential fatty acids (EFAs) and our immune cells are constantly turning over in order to overcome invading pathogens. Hemp seed oil can help to improve an immune deficiency and repetitive infections by replenishing vital EFA reserves used for building immune cells. Hemp seed oil has the ability to assist circulation, may help reduce numbness and tingling and also increases insulin function. Phytol is a sterol found in hemp seed oil and is associated with antioxidant benefits. As a compound phytol can also be found in foods such as spinach, beans, raw vegetables and asparagus. Tocopherol (vitamin E) is another antioxidant in hemp seed oil and is known to be beneficial against degenerative diseases, such as atherosclerosis and Alzheimers Disease. The fatty acid content of hemp seed oil are known to have a useful anti-inflammatory effect for skin conditions like psoriasis, eczema, acne and dry skin. Taken internally it is nourishing while if used topically it is moisturising for the skin. The approximate dosage of hemp seed oil is 1-2 tablespoonfuls per day for an adult. The hemp plant has a traceable 5,000-year history in the manufacture of cloth and paper as well as a food and folk medicine. Hemp is resistant to mildew and weathering and remains pliable in extreme conditions (where plastic based ropes become brittle and crack) hemp was (and still is) used widely in shipping. In 3,000 BC, hemp was considered the most important textile in China (silk production was still flourishing) as it was cheaper than silk and was a strong fibre for clothing. Hemp seed oil is said to burn the brightest of all lamp oils and has been used for millennia. 1 acre of hemp will produce as much fibre as 2-3 acres of cotton. Hemp can replace any of the products made from timber. All the paper that is made from trees could be made more efficiently by using Hemp. Each Cannabis plant grown saves 12 trees and Hemp uses about 1/7 the chemicals in paper manufacture. Cannabis could be used for particle-boards of any size, as well as insulation, drywall, cabinets and furniture. It’s time to update the Food Act! Separate the conundrum of industrial hemp versus marijuana. One is a valuable food source providing valuable nutrients and health benefits while the other provides a psycho-active effect. Australians are smart enough to recognise the difference! Remove the confusion regarding the apparent illegality of selling hemp seeds and hemp seed oil but not of ownership of the same product. Industrial hemp derived hemp seeds and hemp seed oil have considerable health benefits – from lowering LDL cholesterol, reducing the impact of cardiovascular disease to assisting in skin and digestive conditions. With a tightly controlled industrial hemp industry, THC content is negligible and provides no risk to the population. We hope that the ministerial review due to be concluded later in 2014 removes the hysteria and instead leads with common sense. I agree – there is no valid reason why hemp seeds and medicinal cannabis cannot be legalised – Australia is one of the only countries in the developed world that prohibits hemp seed for human consumption. I am writing to Katrina Hodgkinson and many other pollies – people power is the only way we can bring about change.